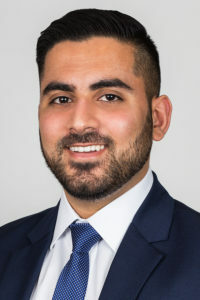 Viraj is a member of the client service team at Northwood and works with families in the areas of financial planning, taxation and investment management. Prior to Northwood, Viraj worked at BDO Canada where he gained experience in audit, as well as corporate and personal tax. He also spent 4 months volunteering at a business accelerator in Tanzania, where he helped social enterprises scale their operations and gain access to capital. Viraj is a Chartered Professional Accountant (CPA, CA) and is a candidate for the Chartered Financial Analyst (CFA) designation. He has an Honours Bachelor of Accounting degree (BAcc) from Brock University and is a member of the Institute of Chartered Accountants of Ontario.